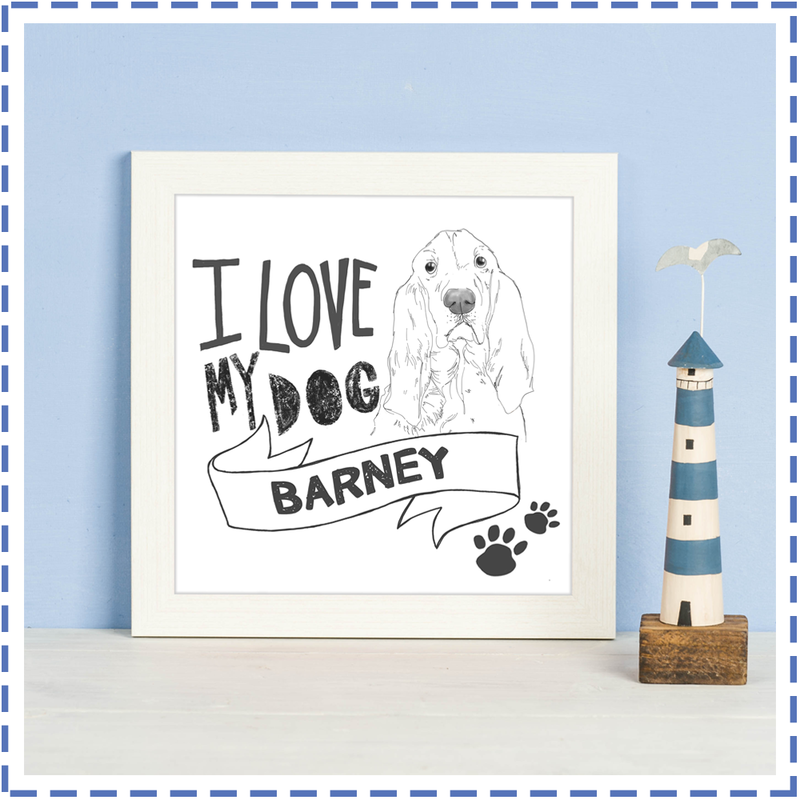 A stunning hand illustrated portrait of your best pal, with a contemporary typography twist. The perfect gift for any dog mummies and daddies! Send us a photo of your pooch, tell us their name and come up with an extract for the bottom - our in-house illustrators will then draw your dog from the photo you provide! 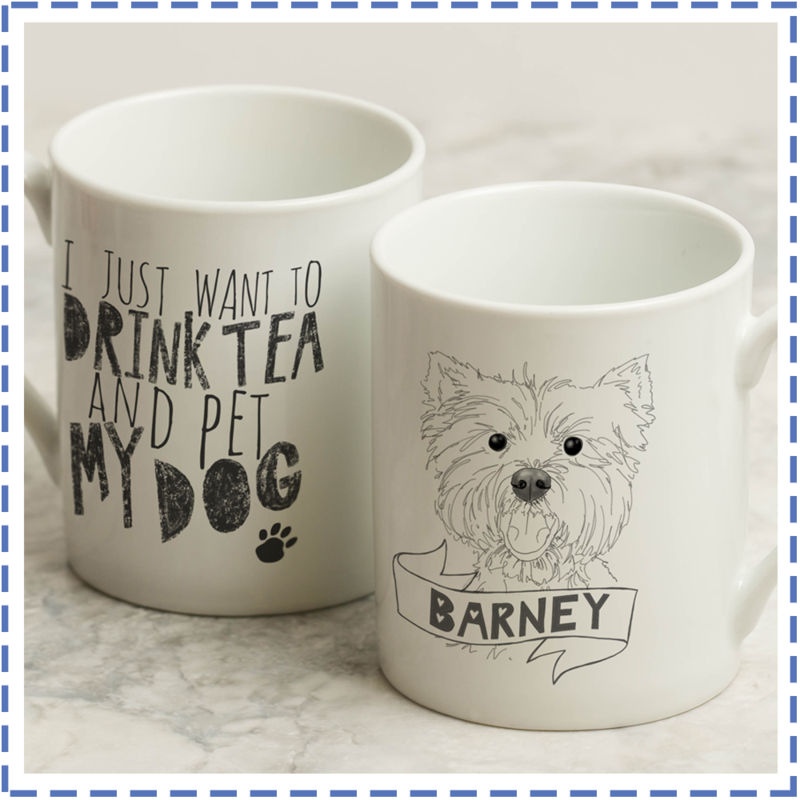 A fabulous hand illustrated mug, featuring your dogs’ name and your choice of illustration to best match your pal. Select your breed of dog from the dropdown menu, tell us your pooch's name and we'll pop them on a mug so you can drink your morning brew in style! 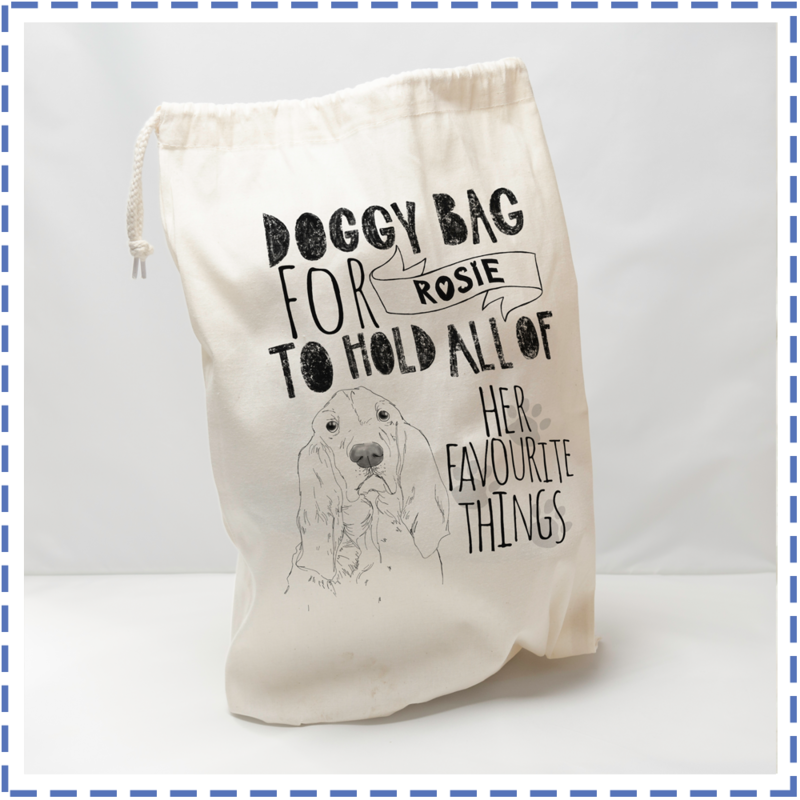 A gorgeous hand illustrated doggy bag of your best pal, great to hold all of their treats in! Similar to the mug, choose your breed of dog and tell us their name - we'll do the rest! A stunning hand illustrated portrait of your best pal, with a contemporary typography twist. The perfect gift for any dog mummies and daddies! 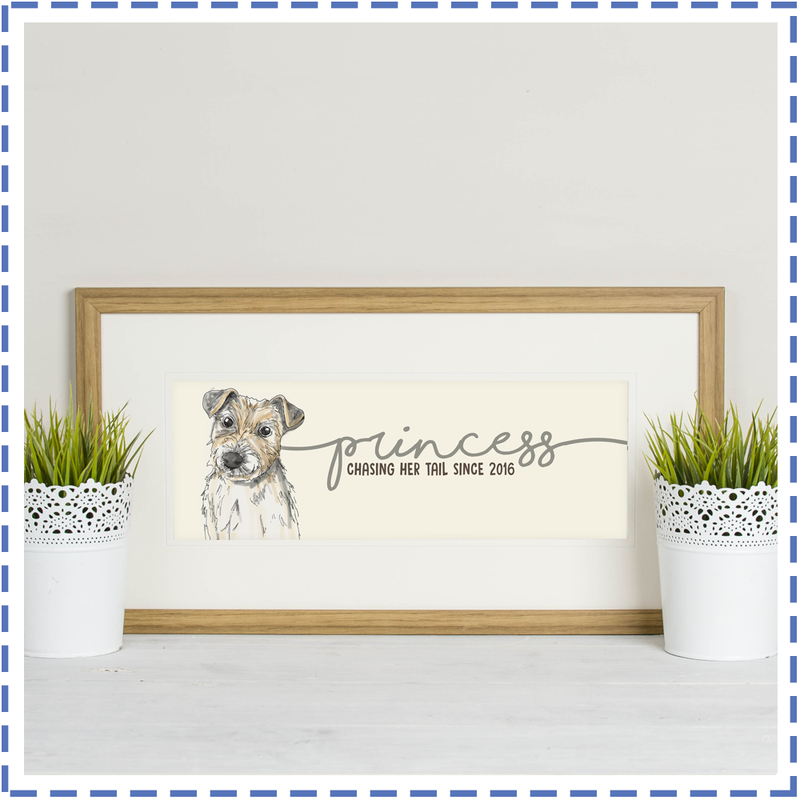 A simplistic design, again, choose your dog from the drop down, tell us their name and we'll pop it in a frame (included in the price) and send it to you!